The Association uses a LEVEL OF GIVING PROGRAM, which features the ranks of Honorary Sergeant, Lieutenant, Captain and Chief Deputy. A distinctive feature of the Association is that members, after joining, can elect to upgrade their membership level at any time in the future. 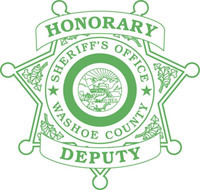 Membership dues, in addition to supporting our law enforcement efforts, include the cost for the quarterly meetings, a membership plaque, and a Washoe County Honorary Deputy Sheriff's Badge and Badge Case. 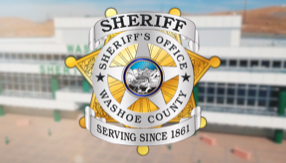 Applications for membership to the Washoe County Honorary Deputy Sheriff's Association may be made at any time throughout the year. A link to the Application is provided below. After completing the application, please mail it to the address shown below. After successfully passing a background check, the applicant is then eligible for active membership in the Association.